In February, Seattle-based law firm Pfau Cochran Vertetis Amala (PCVA) brought a class action lawsuit against Apple over the "Error 53" bug, which bricked iPhone 6 models with select third-party components. Apple quickly responded, confirming the error and issuing an updated version of iOS 9.2.1 to fix the error. Earlier this month, Apple moved to dismiss an amended version of the class action lawsuit. However, PCVA and the plaintiffs have now moved to keep the lawsuit alive, according to AppleInsider. Apple argued the lawsuit should be dismissed because the company issued a fix for the error and offered to reimburse customers who had paid to have their devices replaced or repaired. However, the plaintiffs are now arguing that Apple failed to properly alert users to the reimbursement program. They argue the "vague" announcement on Apple's website and a support document published in April isn't sufficient enough to inform affected customers. The plaintiffs also claim having trouble in getting touch with Apple about reimbursement, with one plaintiff claiming they were never sent a reimbursement notice and another saying they were disconnected from Apple support twice when trying to contact the Cupertino company about the program. The controversy first started in February, when users who had their iPhone 6 models repaired by third-party technicians were seeing the mysterious "Error 53" that bricked their phones. The error showed up when devices had parts replaced with components not sourced from the original device, with the not-matching components affecting the Touch ID fingerprint sensor and causing iOS to fail Touch ID validation checks. Several law firms considered suits against Apple, but PCVA brought its forward. The parties will meet in a motion hearing on June 16. This house of cards is going to collapse soon. Shares will be in the $50s by this time next year. Apple is just in a continuous state of being doomed since at least the 90s! I'm going to screenshot this and we can review it a year from today. I'm with these guys. Tim Cook should have personally come to my house and given me the reimbursement. Now I'm not affected by this but still...its the principle. Lawyers want to keep a lawsuit alive? Never! They were disconnected after multiple attempts? How much do you want to bet they were dicks about it? Here's how I imagine it happening. "I was charged $129 to replace my screen and it was ********. You should never have charged me...blah blah blah"
"I understand sir, do you mind if you give me a second to...(interrupted)"
"I do mind, I want the fixed now!!!" "I understand that, it will just take take me a second to review this. Do you mind if I put you on a short hold." so they patched the system to cure the "problem" and offered to reimburse the affected users. Yep, better keep this lawsuit alive, think of the children. They patched the bug AND offered replacements. That's great service by Apple in my opinion but, of course, all they want is money. How dare you employ logic and objectivity, today these principles are decreed as bigotry. Just to clear some confusion. 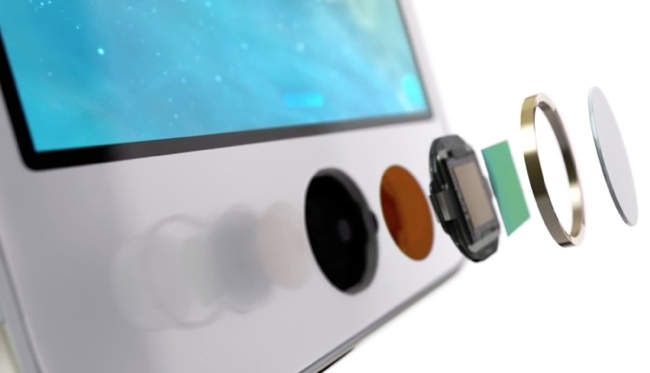 Changing the home button and fingerprint sensor will not bypass Apple's security. Apple had made sure of that via their OS. However that said, it shouldn't brick the phones either. Like I said earlier, those who had their home buttons and fingerprint sensors replaced fully knew what they were getting, that of TouchID not working after the repair. They can only use passcodes as their login method. That is all. Hence the idea of bypassing Apple's security measure strictly from using a third party home button and fingerprint sensor standpoint is never an issue. It just won't work that's all. But it won't render the iPhone useless either. So by consciously delivering a software update that bricks a phone without any warning to the consumers either via their changelog or even a prompt during the update, Apple is essentially sabotaging these users, whom may not have any other viable alternative of repairing their phones economically in the first place due to i.e., out-of-warranty issue, and no Apple Stores in close proximity to where they live. So why fault these consumers where independent repair shops may be their sole logical and viable options? Bring your war directly to these repair shops instead, and not make the consumers as collateral damage whilst trying to bring across your agenda. Don't brick our phones when they were working perfectly fine a minute prior to the update, and completely useless after just because you detest the fact users have chosen to have their iPhones repaired by independent repair shops. Build more Apple Stores instead and lower your repair bills. That will absolutely get more people to service their phones with you. Certainly there are better ways to treat your most loyal customers with more respect than biting the hands that feed you instead. I have never had any problems with iPhone repairs with Apple. I am one of the lucky ones who has Apple authorized repair centers around where I live, and Apple's service has always been top-notch. No complaints with that. But I keep asking myself, WHAT IF, just what if my iPhone is out of warranty, and the nearest Apple Store or Apple Authorised repair center is 200 miles away from where I live, and there it is, just cross the street from where I am is a small independent repair shop that can solve my iPhone misery... What would I do? I didn't say any of those things. You have reinterpreted my comments and gone to the extreme. Apple should have anticipated that a user might go to a third party for a repair. And on the occasion that there is an issue with that repair, provide a more thoughtful response in the system software. If there's a problem with a product, the refund/return/exchange process should be as easy as the purchase process. When Apple pushes buggy OS software, it knows exactly who has installed it using their Apple ID. Apple should recall the OS and get in contact with all affected users notifying them how they can get their devices corrected. That's good service and taking care of the customer, not leaving them to search for an answer. If Apple can't get its act together with all the billions in cash provided from its customers, there's no helping Apple long term. I think Apple did anticipate that customers would go to third parties (something it does not expressly forbid). Hence the Error 53. Designed to force them back to Apple for repairs. This has NOTHING to do with iphone security since I can turn off the touch id. I will admit that this could have been a honest mistake by a developer putting in code that should not have been there but Apple ignored, the fought it pretty hard so I am more inclined to think this was a conscious design decision. There is no bug in the software. It worked exactly as it intended. Apple introduced this error 53 because it wants customers who have faulty home buttons to buy new iPhones or charge them exorbitantly for the home button replacements instead of going to independent phone repair technicians. This is how Apple makes its money- by selling new hardwares. Those people who went to the 3rd party repair shops were happy to lose the TouchID function after the home button replacement, and their phones were working fine before the update. Therefore the bricking is a conscious attempt, not an accident. Why else are those affected solely people whom had their home buttons replaced by 3rd party repair shops? This is Apple's way of showing the middle finger to independent repair shops because as long as customers can repair their iPhones cheaply, who else's gonna buy their sparkling new iPhones? It makes sense as a business, but not from a consumer's perspective. Yup, that's why Apple addressed the issue. It all makes sense.